The scanner adopts thecutting-edge technology that helps furtherimprove scanning performance, boost productivity and enhance customerexperience. Thescanner allows customizing scanned data with ease and provides supportingsoftware to address diverse application needs. 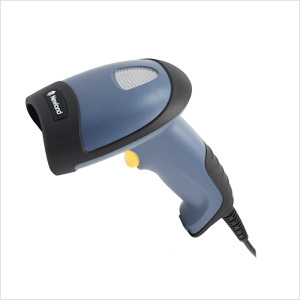 Thescanner delivers unmatched scanning performance for emerging applicationsinvolving on-screen barcodes or barcodes printed with non-black ink. Thescanner fits comfortably in any user’s hands to reduce the fatigue of long-timeoperation, ideally suited for scan-intensive applications. electricitymeter reading, inventory counting, healthcare. 1D Code128, UCC/EAN-128, AIM128, EAN-8, EAN-13, ISSN, ISBN, UPC-E, UPC-A, Interleaved 2 of 5, ITF-6, ITF-14, Deutsche 14, Deutsche 12, Matrix 2 of 5, Industrial 25, Code 39, Codabar, Code 93, Code 11, Plessey, MSI-Plessey, GS1-RSS14, GS1-RSSLimited, GS1-RSSExpand, etc.